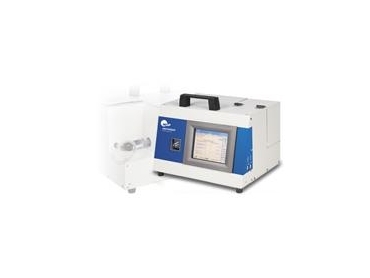 Particle & Surface Sciences have announced the new particle counter from MSP Corporation. The Model 7400AD is a technologically advanced, real-time fibre monitor that automatically detects and counts airborne fibres such as asbestos, mineral wool, advanced composites, ceramic and glass. Each 7400AD Fibre Monitor is factory-calibrated with traceability to NIOSH Method 7400 for asbestos fibres. The 7400AD Fibre Monitor ignores non-fibrous background particles, using the principle of electric-field-induced fibre alignment and oscillation. The 7400AD Fibre Monitor is suitable to monitor worker exposure during asbestos remediation and removal operations. With its fully charged battery pack, the 7400AD Fibre Monitor will operate unattended for eight hours and record the observed fibre data at regular intervals. If the fibre concentration exceeds a user-defined, pre-set exposure level, an audible alarm occurs. Within the 7400AD Fibre Monitor, there is a filter cartridge from which one may obtain samples for later chemical or physical analysis, such as comparison with phase-contrast microscopy.